KUALA LUMPUR (July 18): Sogo Malaysia has agreed with IGB Corp Bhd to be the major department store anchor in the new Mid Valley Megamall at Southkey, extending Sogo's reach into Johor Bahru. 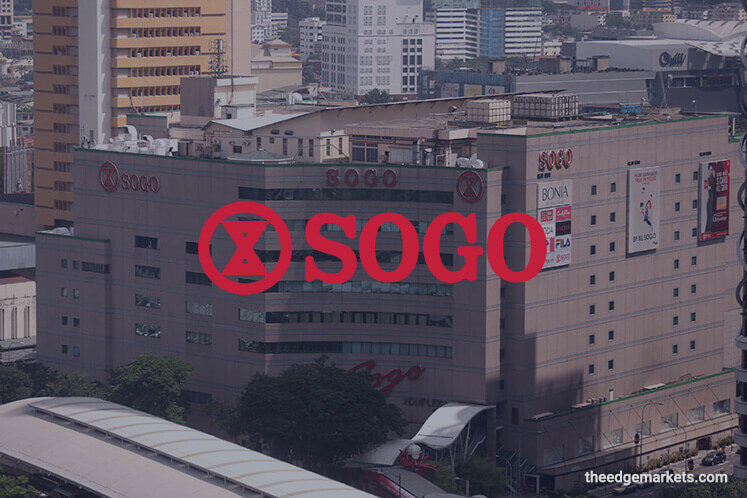 Sogo said that this will be an addition to its recently announced new locations in Tun Razak Exchange (TRX) Lifestyle Quarter, Central i-City shopping mall in Shah Alam, Paragon @ KL Northgate in Selayang, Mayang Mall in Kuala Terengganu, and Prai Megamall in Penang. In a statement today, Sogo said these stores will carry either the Seibu or the Sogo brand name and will be opened within the next four years. "When fully operational, Sogo Malaysia expects its sales turnover to reach RM1.5 billion annually. Total capital investment will be approximately RM200 million," it said. Sogo Malaysia group managing director Datuk Alfred Cheng is confident that the future of department stores is bright but stresses on rebranding the image of the company. "We must present ourselves not just as a retailer of products but a department store must be a social destination where fashion, lifestyle, food and pampering services are put together as a platform for our customers to gather, mingle and enjoy spending time together to shop, eat, entertain and keep healthy," he said. Sogo, said Cheng, will introduce more global, aspirational and thriving brands that are more emotional and appealing to the customers of the future, by bringing in a wide array of product lines and services, as well as Japanese-inspired food halls to its stores.